A few weeks ago I was in a heated email discussion about promo items and the best way to use them to promote ebooks and print-on-demand books. The items of choice seemed to be pens, bookmarkers, t-shirts, mouse pads and fridge magnets with calendars — the list was endless. Unless you simply want some “home town” recognition, these tools are not going to do anything to enhance the sales of your book. In fact, they could very well hurt sales if they do not look professional. Several authors were describing a process for creating homemade bookmarkers. Homemade anything is just that — homemade — and who wants to spend money on a book that has promo items shouting “amateur?” Anything that is used to promote a book, or an author, needs to be 100% professional. One of the biggest problems facing self-publishers and small publishers of ebooks and print-on-demand books is the perceived lack of quality control. Editors are expensive, but necessary. If an author is self-publishing and can’t afford $50 for some properly printed bookmarkers, then potential readers have no reason to hold out much hope that a competent editor has been employed. If you are attending a book signing, or book show and feel you must give something away, make sure it’s professional. It is much wiser to invest whatever money you have in a few professional items, than in many items that are not so professional; it’s better to have one person think you’re professional, than 50 people think you’re not. If it’s simply not possible to have high-end promo items produced, then put a bowl of mints, or chocolates on your table. These facts aside, promo items are not very useful in selling books even when they are produced professionally. 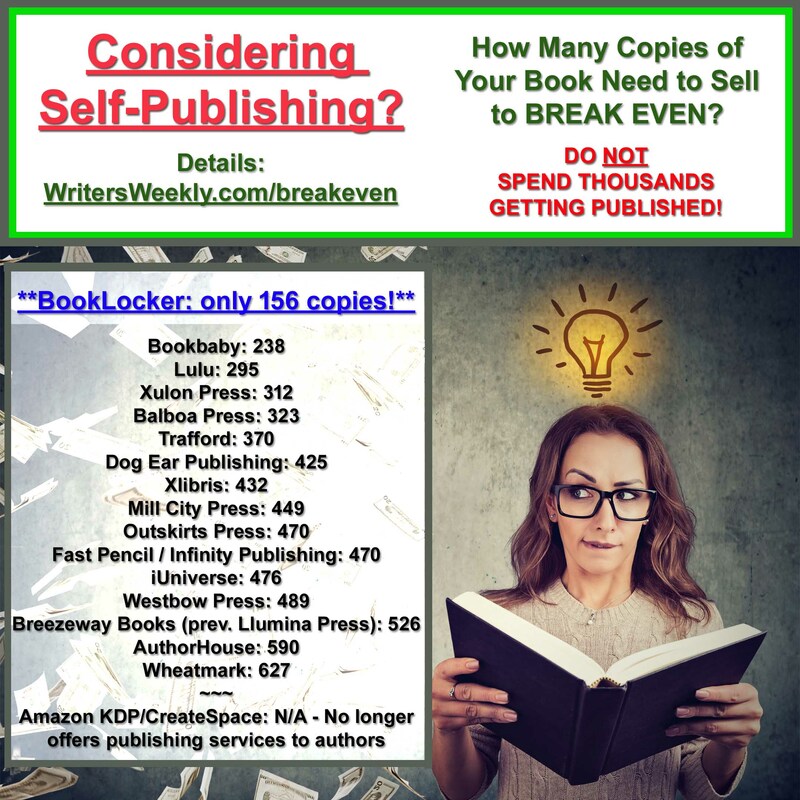 A bookmarker, a pen, or a calendar might make a buyer more aware of your book, or you as an author, but since no one is going to purchase the same book twice, it’s not a very effective promotional tool in terms of sales and return on your dollar. There might be some argument in favor of such advertising if an author plans to write a series of books in the same genre, but these dollars would be better spent in other forms of advertising. Promo items such as mouse pads, magnets, calendars, etc. work only to promote a company, or a service and even then only in terms of convenience. It might make sense for a hairdresser or a delivery service to use these items because often people call the most convenient telephone number available. If someone has to look for a phone number in the yellow pages, he is also being introduced to all of that company’s competition, so it makes good business sense to have the number easily accessible to potential customers. To promote a book it’s best to take a lesson from major corporations. If you’ve ever filled out an online form to order something, or to sign up for an email service, you have probably seen a section called “how did you hear about us”. This section most often includes several choices such as: web site, search engine, television ad, radio ad, newspaper, magazine, other. Obviously few companies have invested much time or money in “other”. 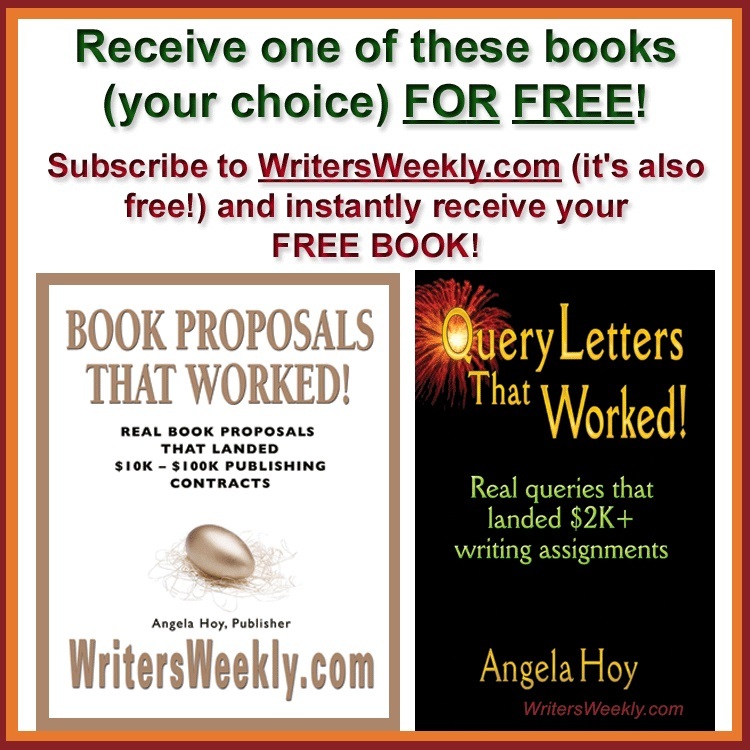 So how do ebook and print-on-demand authors promote their books? 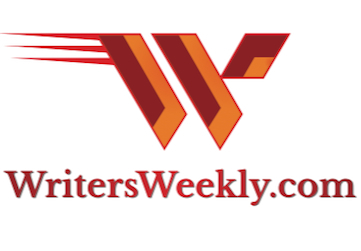 Through targeted online advertising, book reviews, news releases, television and radio interviews and to some extent book signings, and book shows. If you’ve published a print on demand book through a company such as Booklocker.com, then you’re probably already online with Booklocker, Ingram, Amazon and Barnes and Noble, because of agreements made with both the publisher and the printer. You can also put up your own web site and promote directly from there. Lynn A. Thomas saw sales soar for her book How To Make & Market Gel Candles That Sell Like Wildfire, after she put up a web site and started an e-zine offering subscribers a myriad of information on gel candles. There are also websites that target ebook readers and other authors and you can purchase advertising on these sites. At eBook Palace for instance, authors who are using the premium listing service are getting about 20 -100 hits per month. This service can cost as little as $2.08 per month, depending on the type of program you choose. Each click is costing the authors between 2 cents and 20 cents. Compare this to the cost of producing a pen, or a bookmarker, or mouse pad. Remember, with specialized web sites you’re reaching the exact audience you want to reach. The click is also taking the customer directly to YOUR online order form, (or Booklocker.com’s, or wherever you are distributing books from online). Sites such as eBook Palace are likely to increase in traffic, so it’s quite possible the cost per click will go down as site traffic goes up. Authors must also make good use of reviews. You can use pre-publication reviews that are sent to trade publications and bookstores, and post-publication reviews that people read in popular magazines, etc. Authors often include favorable reviews on the back cover of their books. There are a variety of places an author can send a book for review, such as Ivy Quill Reviews and Huntress Book Reviews. Reviewers do not necessarily read all genres, so make sure what you’re sending them is relevant. Sites such as Amazon and Barnes and Noble also list reviews and people can write in and add their own. 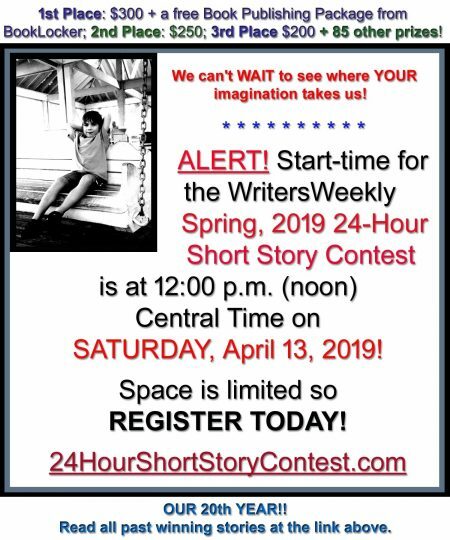 This can also work well for an author, and it’s free. If a reader cannot decide between one book or another, chances are he will go with the one other people recommend. Some people are even more creative in their marketing plans. I recently spoke with one clever future-author who decided to compile a list of recycling ideas and sell it as an ebook. She has not written one word, but has already sold hundreds of copies. How is this possible? She went to the local schools, offered a percentage of all the sales to whatever program the school wanted to have sponsored and watched eager parents sign up for the book. In addition, the author has also had a large number of parents give her information for the book! All she has to do is give them credit for the idea, and most people are thrilled to see their name in print. The story doesn’t end there. Since she has so many sales, she now has a great selling tool when she finally does approach a publisher. What publisher is going to turn down a book that has hundreds or thousands of people already waiting to buy it? Once your book starts to increase in popularity it actually begins to promote itself. Sell enough copies and you’ll find your book on an influential “best sellers” list. With a book sitting in this prime position, you’ll discover more people buying it simply because they were browsing the web site, or received the newsletter. Invest your money and time wisely. Good decisions will save you both down the road. Cathi Stevenson has been working in the publishing industry since 1981. During that time she has done everything from book binding, to ad layout, to copy writing, journalism and editing. For several years she was Special Advertising Features’ Editor at Atlantic Canada’s largest newspaper. She currently has her own book cover design company at http://www.bookcoverexpress.com in addition to being marketing director for an online publishing firm and working as a marketing consultant for a variety of authors and companies. Her own ebook How To Sell Your Competitor’s Book, will be released later this year.